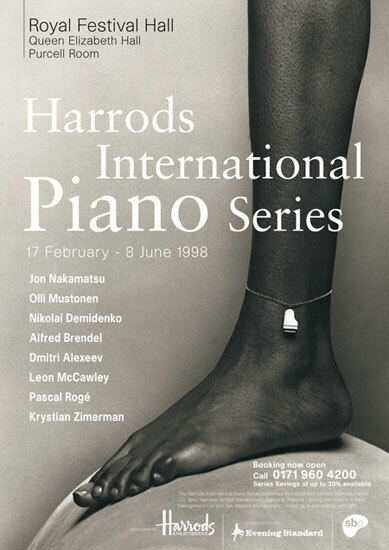 Cover for an A5 leaflet for the Harrods International Piano Series covering the second half of the season February to June 1998. Design and Art Direction by JP. Photography by Nadav Kander.